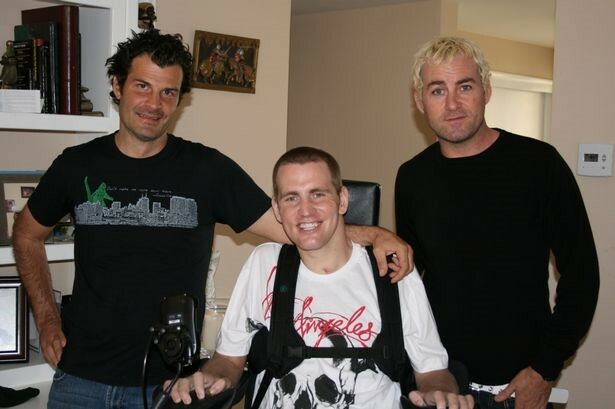 Recently I have got to know and befriend someone who I believe is the most inspirational person I have ever met, Stephen Murray, former professional BMX rider and champion. You can read about his incredible story below but the fantastic news from BSP’s point of view is that Stephen, ourselves and some really well known figures in the sport and elsewhere are now working together on a full length documentary about this truly amazing man's truly amazing life story. We will keep you updated as the project progresses but be assured this is going to be a fantastically inspirational movie, told in a cinematic, visceral and moving style that Stephen's story deserves. June 22, 2007 marked a day that the Action Sports World will remember for a life time. A day that has forever changed the life of Professional BMX Dirt Jumper & three times Gold Medalist Stephen Murray. In the midst of doing a double back-flip in the BMX Dirt Finals at the Dew Action Sports Tour in Baltimore Maryland. Stephen's foot slipped off the pedal mid rotation, flailing him through the air and straight to the dirt. It was quoted as being one of the worst crashes seen in bmx and one that would ultimately be career ending, for this incredibility talented, 27 year old athlete. Stephen was transported to University of Maryland Medical Centre Shock Trauma Unit. He had flat lined in the ambulance and again after reaching Shock Trauma, where medication was administered to bring him back. Undergoing the first of two 7 hour surgeries, Doctors confirmed Stephen had crushed his 3, 4 and 5 cervical vertebrae, suffered severe damage to his spinal cord and the front of his vertebrae had been shattered. Stephen Murray, professional athlete, husband, father of two young boys, now paralysed from the shoulders down. Stephen Murray moved the United States from Newcastle, Great Britain 15 years ago with a dream of riding & competing with the best athletes in the sport. His goals set high, to achieve what no one had yet accomplished. He did just that, in 2001 and 2002 winning Gold Medals in BMX Dirt Jumping at the X Games and Gravity Games in 2001 landing the first double back flip in competition and progressing with 360 backflip variations. In 2002 Stephen backed this up by winning gold at the Gravity Games for the second consecutive year. Murray went on to have a solid career and was known for the big risky tricks. Stephen had fought his way to the top of his sport with his determination and commitment and fast forwarding to 2007 he would now fight to breath, to stay alive. He continues his fight today; to one day hold his children and one day walk again. The trick that made him in 2001 changed his life in 2007. This isn't the end of the story.. 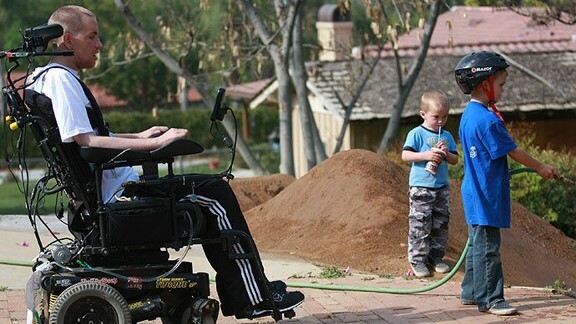 It's just an obstacle in Stephen's path that he is determined to overcome. There's plenty of fight, guts and determination left in this Geordie yet. 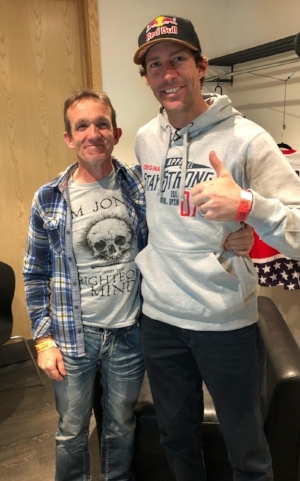 I have recently got to know and befriend someone who I believe is the most inspirational person I have ever met, Stephen Murray, former professional BMX rider and champion. You can read about his incredible story below but the fantastic news from BSPs point of view is that Stephen, ourselves and some really well known figures in the sport and elsewhere are now working together on a full length documentary about this truly amazing man's truly amazing life story. We will keep you updated as the project progresses but be assured this is going to be a fantastically inspirational movie, told in a cinematic, visceral and moving style that Stephen's story deserves.